Chau Doc is a city of An Giang Province, an attractive destination in Cuu Long River Delta. Chau Doc is situated 245 km from Ho Chi Minh City to the west. In the past, Chau Doc is a province of Chan Lap Kingdom, or called Kompong Long. In 1757, King Chendla ceded to this area for Lord Nguyen. Then Lord Nguyen ordered Nguyen Cu Trinh to probe here and establish Chau Doc religion. Through many feudal years, Chau Doc was undergone several changes in its names and administrative boundaries. In 1868, French army invaded Chau Doc, a stepping stone to invade the western of Vietnam and Indochina. The French also reduced the central role of Chau Doc, and pillaged wealth of local residents, made them extremely indignant. Today, with its high potential, tourism is always a strengthof this land. The landscapes of Chau Doc imprints long histories, make visitors very enjoy every time they visit here. 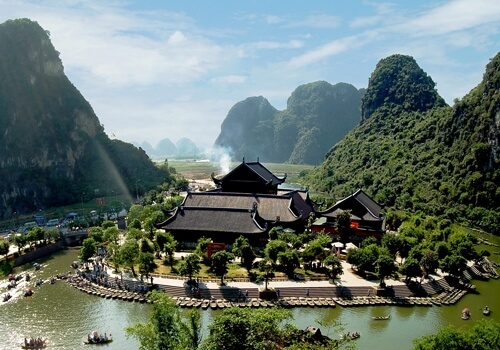 Coming to Chau Doc, tourists will certainly be immersed in western poetic natural scenery. It is also a destination that can help you escape from the hustle life of urban. This ulticultural land is the convergence of essences in beliefs, way of life and work of the Kinh, Khmer, Cham. Situated in An Giang and Kien Giang province, with the length of 87 km, Vinh Te Canal is the largest canal in history of feudal Vietnam. This canal was named of the commander’s wife. 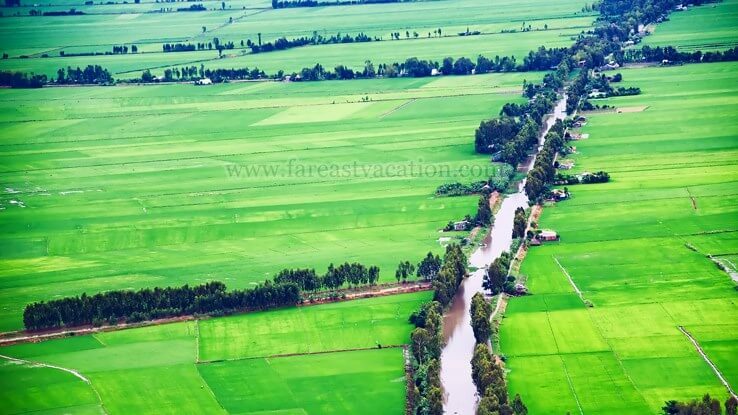 In the journey to explore the western, Vinh Te is a long story which is full of fascinated to visitors since its formation to the values in present that this canal gives local peple. 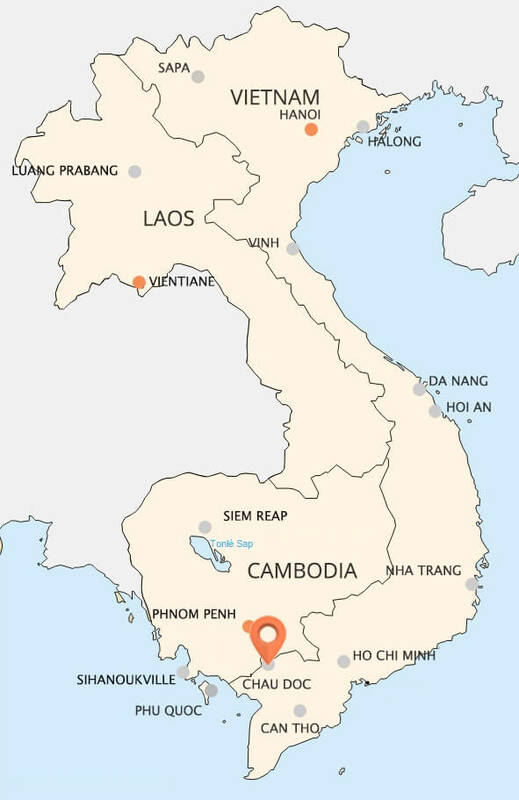 The canal runs parallel to the border of Vietnam - Cambodia, starts from Chau Doc River west coast, directly adjacents to the Giang Thanh River, the town of Ha Tien, Kien Giang province today. Vinh Te Canal was started in 1819 and then completed in 1824 by the order of King Gia Long. With a great size, it extremely has a great contribution in the development of irrigation and transportation systems as well as agriculture, trading and border gurarding of the western region. This historic canal remains on its course the acculturation and life Vietnam - Khmer very peculiar. In lifestyles, in the face of the people here still keep the epic imprint of the reclamation era. Go to the Tinh Bien district, An Giang province, about 100 km from Long Xuyen, tourists will see a red dirt path leading into the Tra Su Cajeput Forest. This is the typical flooded forests of western Hau River, a home to many species of animals and plants under the special use forests system Vietnam. With its diverse ecosystems and impressive beauty that nature bestowed, Tra Su Cajeput Forest is like "water road" and has become an attractive tourist destination attracts many visitors. To Tra Su, visitors stroll into the forest gate, along the roadside are a lotus pond and the trees, then to the motorboat area. 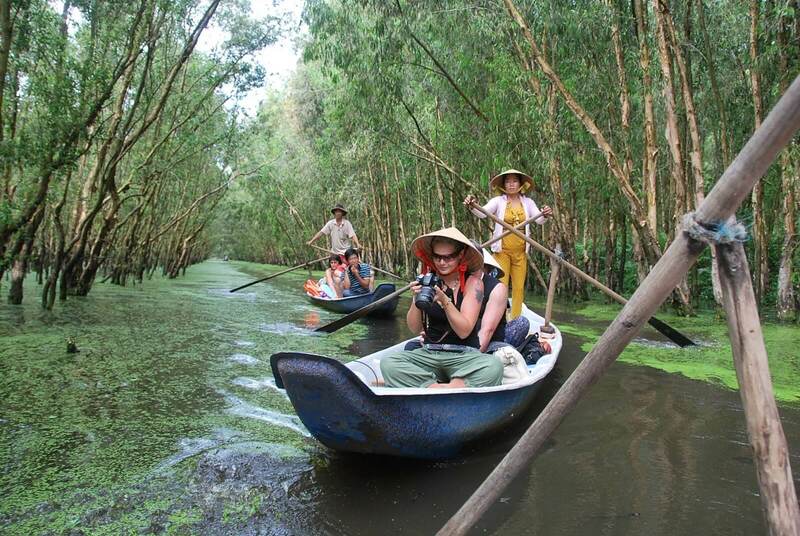 The motorboats will take visitors deep into the mangrove forest. Occasionally, when catch birds boldly perch on the stems, water lily or on the bank, you can ask the boatman to stop to enjoy and record the quiet and beautiful moments of nature. After arriving in a station inside the forest, visitors will be turned into a small rowing boat. 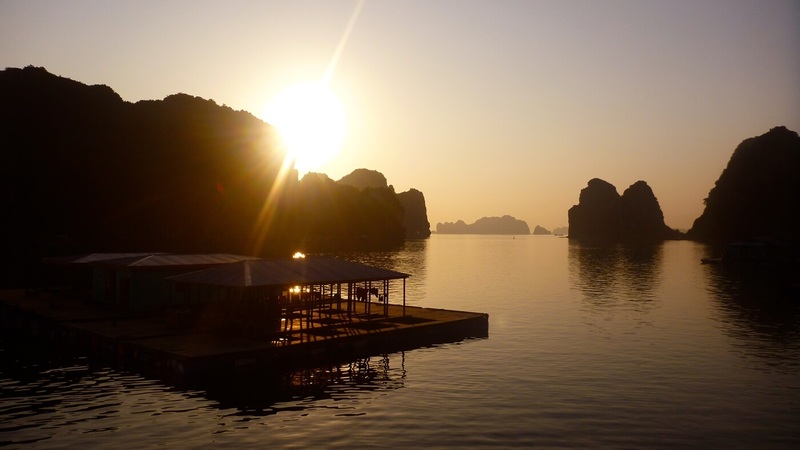 From here, the boats will take visitors to the most beautiful areas of Tra Su. There are the green duckweed covered water. It is so very interesting and poetic. Tay An Temple, also known as Tay An Sam Mountain Temple, is a Buddhist temple located at the junction, the foothills of Sam Mount. 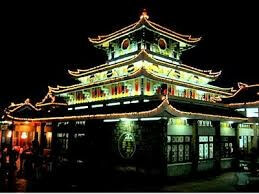 Tay An Temple is located on high ground, open areas in the campus with an area of 15,000 m2. The most important point of this temple is the main side of temple with three floors house, round roof with bulbous shape, so colorful but still harmonious. The front of the temple, in the middle is the two-level Buddha tower. Upstairs is standing Buddha statues with arched dome and spikes like the old tower in India. Reliefs and the decorations on the walls also bear the stamp of India. Four towers downstairs have the guardian statues, in the front has two elephant statues: white and black elephants. The main hall is very large, decorated with subtle details. Highlights of the main hall are over 150 statues of various sizes carved quite sophisticated and meticulous. 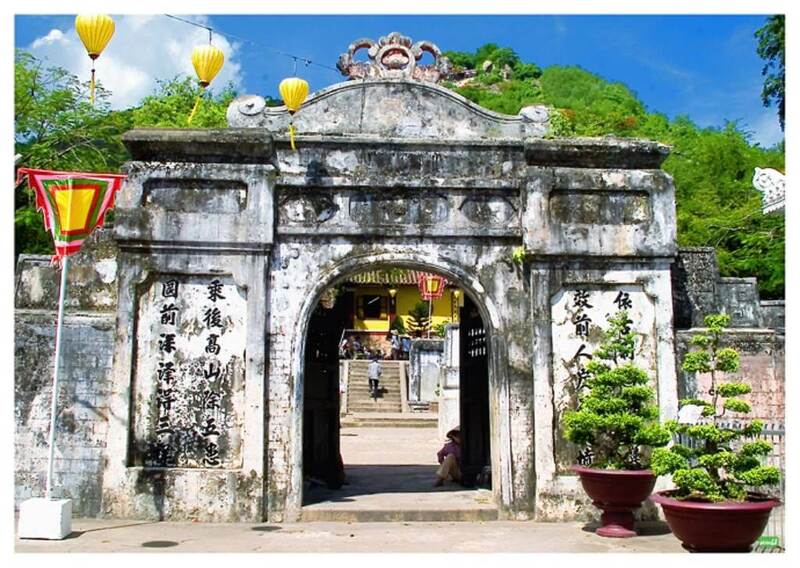 Widely regarded as one of the attractions not to be missed on any itinerary to Chau Doc, Tay An Temple is not only a religious place but also a tourist attractions in over the years. 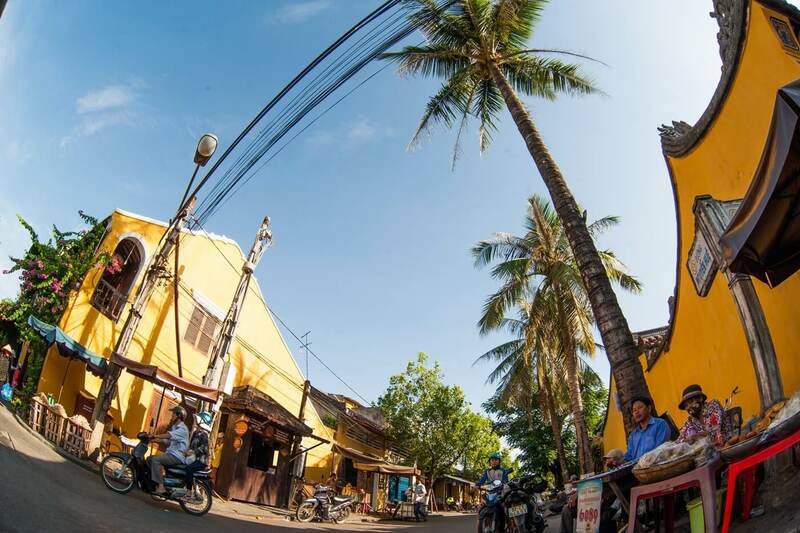 Located in the northwest of An Giang province, about 20 km from the center of Chau Doc city, Tan Chau town is known for the famous silk weaving longstanding. In here, visitors are always admired when touching the iridescent silk strip which is woven from skillful hands of artisans. Tan Chau silk is woven with beautiful patterns, vibrant colors, meticulously created from the mulberry, raising silkworms, reeling to weaving and dyeing fabrics. This is the heirloom profession, kept from generation to generation. Here, from the riverside sand is a green color of strawberries stretches from village to village. Days ago, the traditional nursery techniques are quite strenuous and meticulous. There are hundreds brazier fire always burning with huge copper pots above. 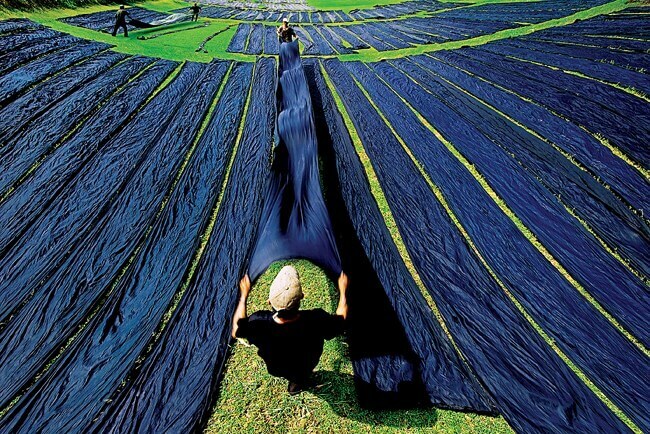 Today, thanks to advanced technology has reduced the difficulties of making silk, and silk also has better quality. Choose a trip to Chau Doc and visit Tan Chau Silk Village, visitors will have a chance to glimpse the skillful craftsmen painstakingly beside looms, surely make them feel more and more cherish traditional values of this silk village. These values are so valuable and more precious in this modern life , because the unique traditional craft villages remain quietly along country journey always contain the priceless cultural value. 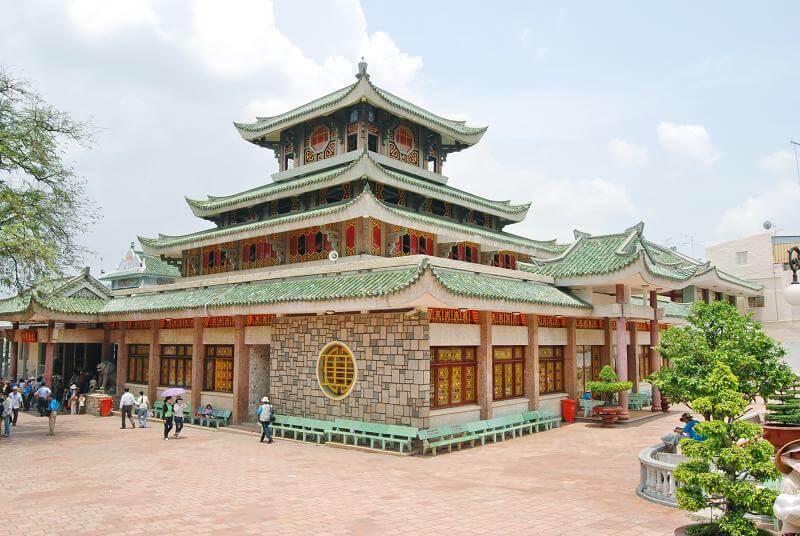 Ba Chua Xu Temple, located at the feet of Sam Mountain, Chau Doc the city, An Giang Province, is a important historical, architectural and spiritual tourist destination. Ba Chua Xu temple is a beautiful and dignity structure, annually attracts nearly 2 million people to worship, sightseeing. Pilgrims, tourists come from all over the country, creates an exciting festival season, the majority lasts many months. Construction time of Ba Chua Xu Temple so far still remains a mystery, but in general, the researchers agreed that temple formed after 1824. By 1972 the new temple was built, massive and magnificent ancient architecture with Oriental style and completed in 1976, creates the look like today: a curved multistage roof, glazed polished tile walls imported from abroad, the precious wooden window frames,… Main hall is spacious airy, cozy and majesty. The building is a monumental complex on the wide ground with east block, west block, guest house ... Ba Chua Xu statue is a artwork carved in stone, dating from the 6th century, located in middle of the main hall. Ba Chua Xu Festival is held annually on the last day of lunar April. Thousands of people flock to the Ba statue bathing ceremony, offer incense and pray for bless. Thoai Ngoc Hau Tomb, also known as Son Tomb, a typical rare intact structure remaining from Nguyen Dynasty in the South. This is a superficial beautiful world construction and meaningful about culture, history, architecture. The tomb is located at the location where Thoai Ngoc Hau, real name as Nguyen Van Thoai, chose to make a permanent resting place for him in the future. Majestic scenery of Thoai Ngoc Hau Tomb reminds visitors nostalgic about the past, about the virtues of predecessors, deeply impressed, regret for what can not recover in the past. In front of the tomb is a large yard, burial place of his two wives. Surrounding the tomb is walls with one meter thick, tinged with moss. The front has two large doors architectural style of the ancient mausoleum, the two sides have two rows of jars. Behind the tomb is a temple on higher ground. Behind the temple is Sam ridge forming solidly, exalted majesty ancient features. In mausoleum, visitors will admire the Thoai Ngoc Hau statue about two meters high along the splendid literary fields, recalling images of a glorious time. Thoai Ngoc Hau Tomb brings to tourists the majestic beauty of an ancient desitnation.